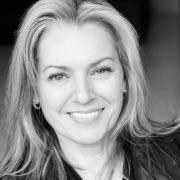 Chrystine holds the position of Chief Content Officer of Montréal-based boutique company Ciné-Mundo. With more than 20 years of experience in the international TV and media business industry, Chrystine is specialized in identifying, acquiring and exploiting TV and media content rights for all media platforms, worldwide. She works closely with rights holders such as format devisors and writers, independent producers and broadcasters. She previously worked as VP, Content Rights Management at Attraction Images Plus where she was responsible for the global exploitation of the company’s full content library.